Mabel combines subtle texture and pattern, and features a horizontal sculptured stripe running across the duvet cover and standard pillowcase. Created using innovative Microfiber Micro sculpt technology, this bedding is exceptionally comfortable and smooth as well as being durable and lightweight. 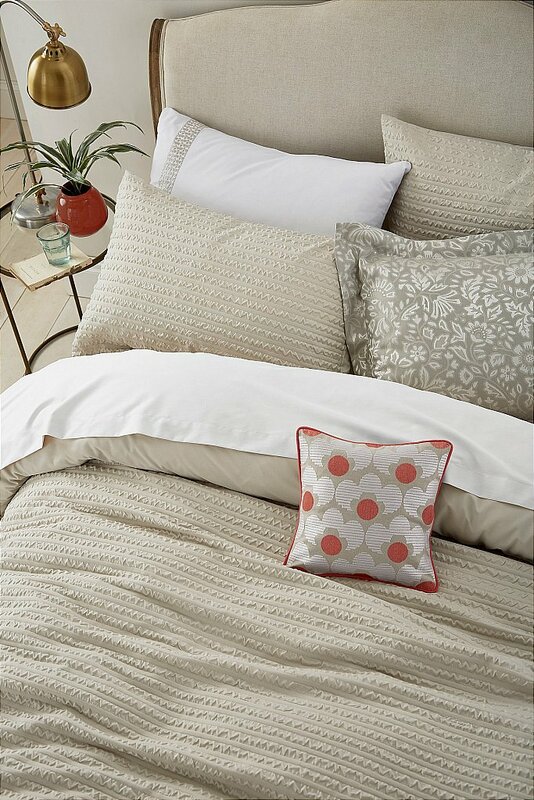 Add a mix of pattern by styling with Lilys textured jacquard weave and embroidered accent cushion. I would like more information about Mabel Bedding in Linen by Helena Springfield.